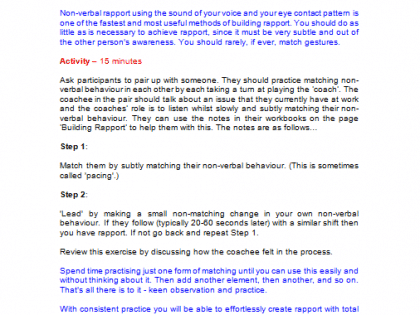 Anyone that coaches would benefit from these training course materials. In particular, these training course materials are useful for coaches that would like to add an extra dimension to their coaching sessions and offer advanced developmental solutions. It is not necessary to have a complete knowledge of NLP to deliver or use the skills provided within this course. 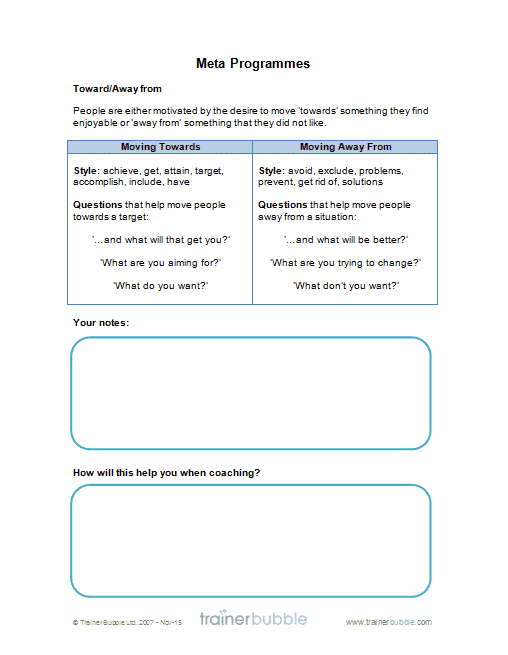 These training materials will help develop the coaching skills of anyone that coaches people and ensure you deliver a successful coaching skills training course. 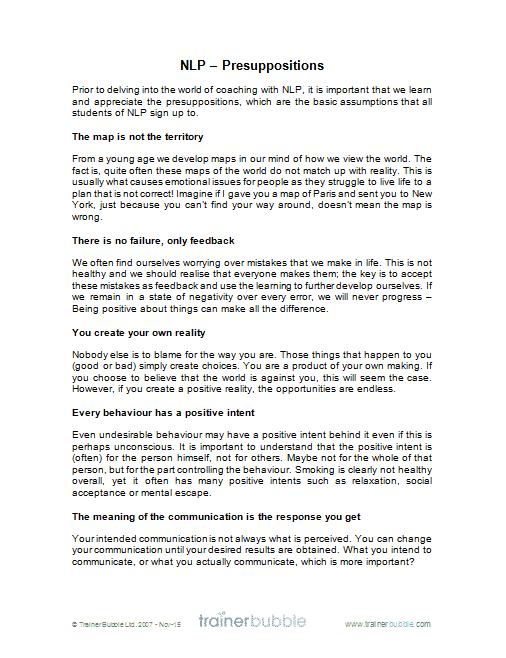 NLP (Neuro-Linguistic Programming) is known as the art and science of personal excellence. It is based on the practical skills that are used by all good communicators to obtain excellent results. 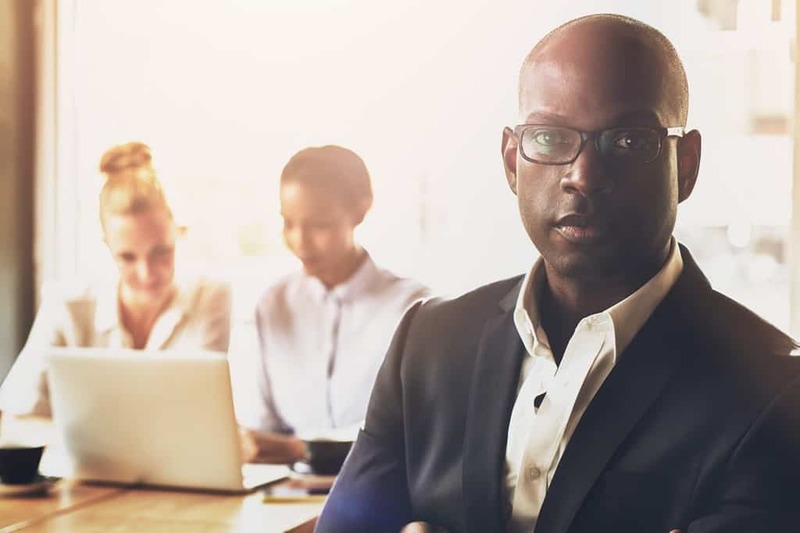 These skills are invaluable for personal and professional development and by using NLP in coaching we can encourage faster results that stick. This session will provide your participants with the skills necessary to improve their performance as a coach, whilst giving them a sound understanding of how to get the best out of people through the use of well established NLP techniques. 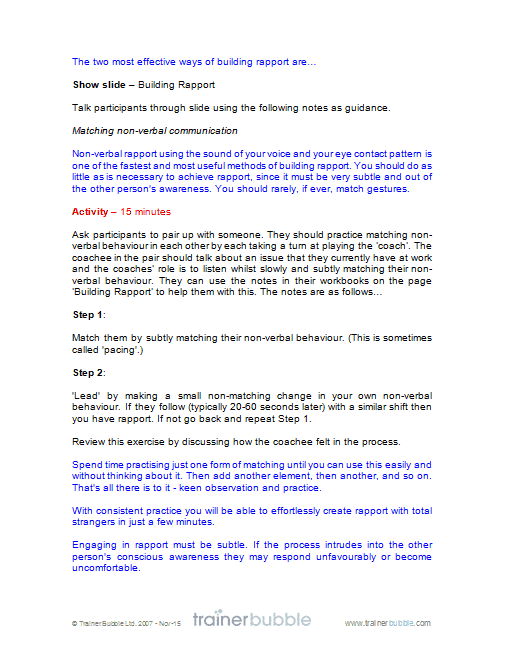 Representational Systems – A look at how we process information and ‘map our world’ and how to ensure that you relate to the coachee in a way that suits them using Visual, Auditory and Kinaesthetic language patterns. 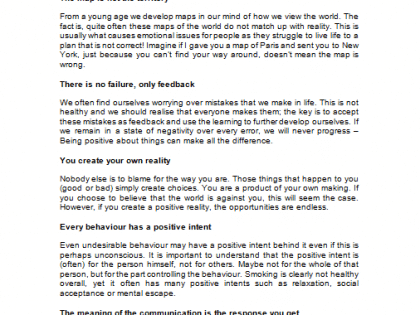 Presuppositions – Using presupposition statements to develop a positive thought process for the coachee. 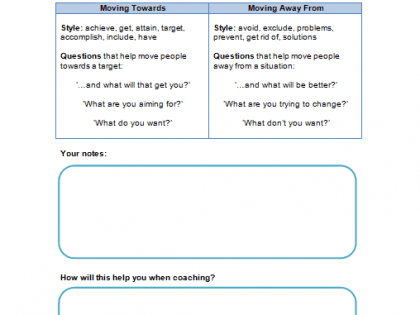 NLP Coaching Model – A set process of NLP Coaching to follow; with a chance to practice what has been learnt throughout the session in a safe environment.